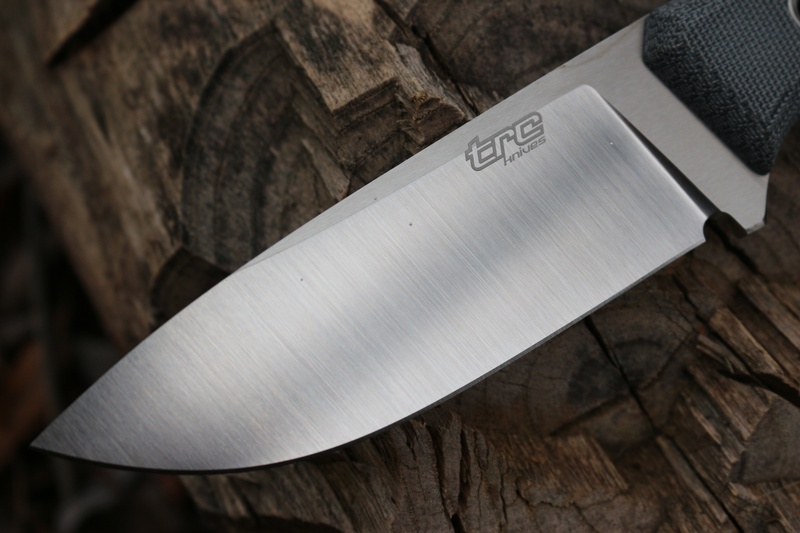 First time in Canada, these are really superb knives made in Lithuania, by TRC knives. 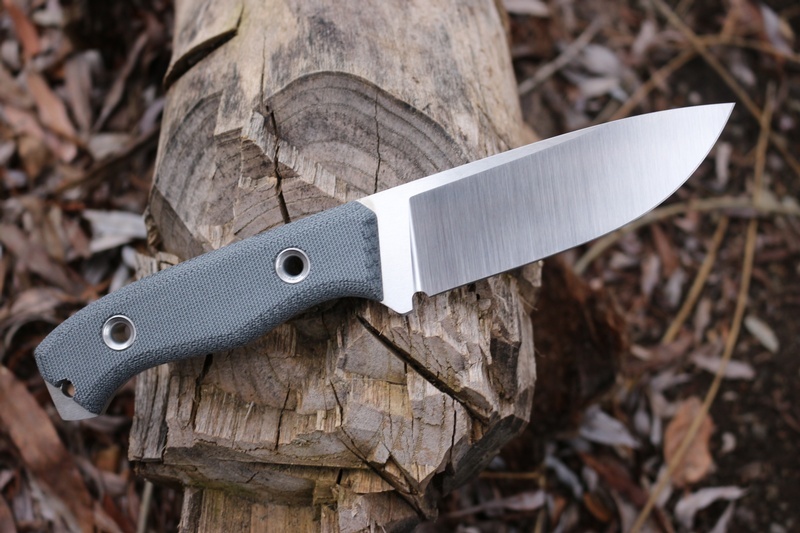 Using the outstanding ELMAX steel, the Survival knives are in the highest end of the quality range, offering superb design, fit and finish and steel. 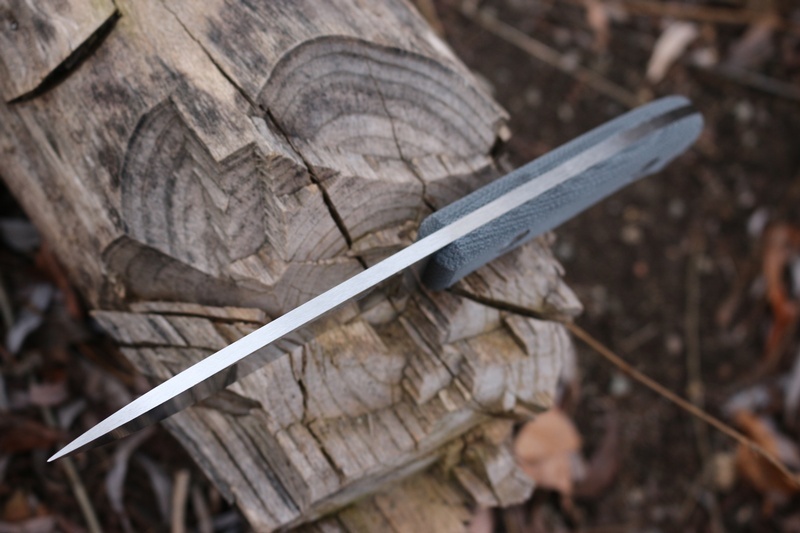 Full broad tang, with handle tang extension, hollow pins and Black Canvas slabs, square spine. The blades are flat ground (with a fine secondary bevel) 60HRC and made from the excellent ELMAX steel. Elmax is a Swedish superclean fine powder steel that offers outstanding strength, excellent corrosion resistance and superb edge holding. 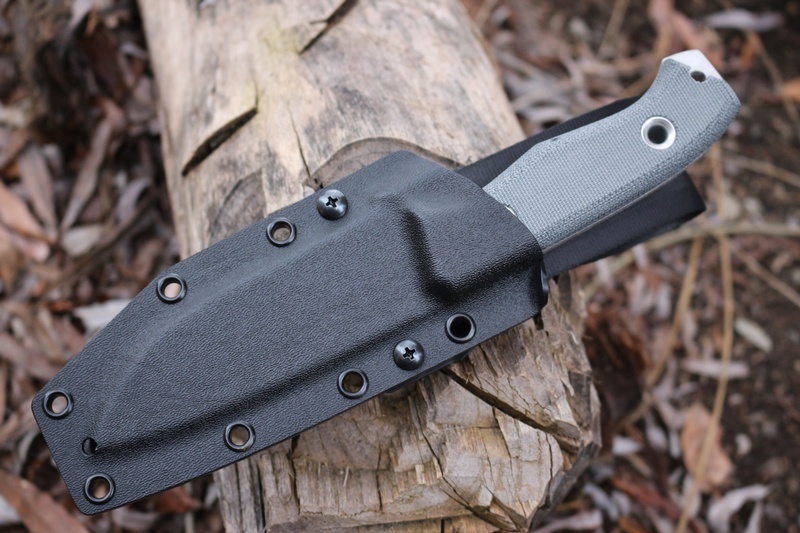 Comes with very nice quality Ambidextrous Kydex sheath, see images for details. 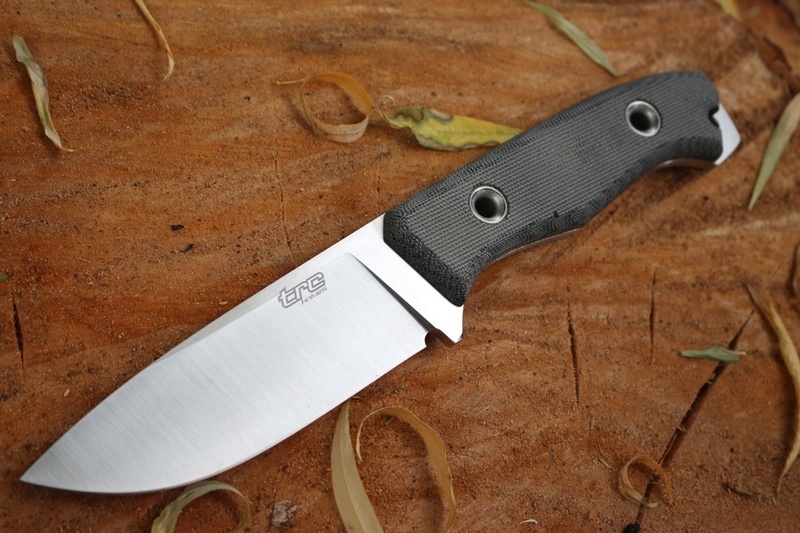 Purchase through PayPal by using the "Add To Cart" button above or use the form below to order the TRC Knives TR 13 Elmax Black Canvas . Feel free to contact us if you have any questions about the TRC Knives TR 13 Elmax Black Canvas .